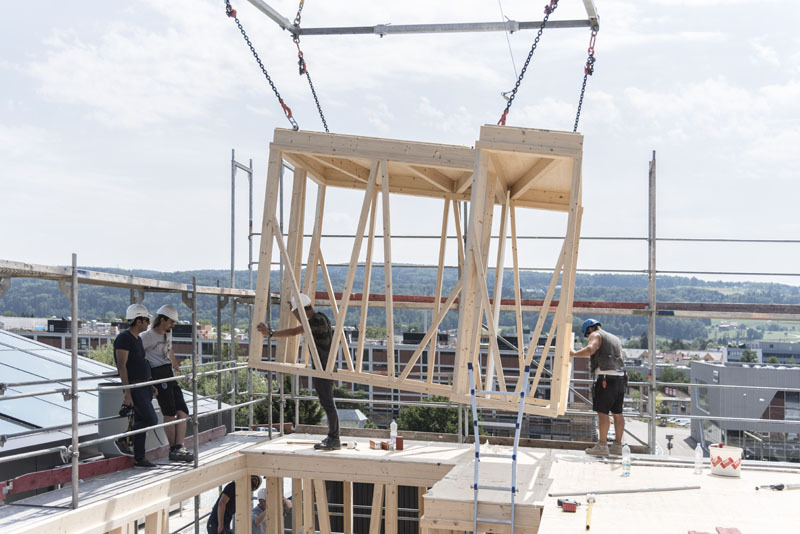 Spatial Timber Assemblies is a joint collaboration of Gramazio Kohler Research, ETH Zürich and ERNE AG Holzbau. 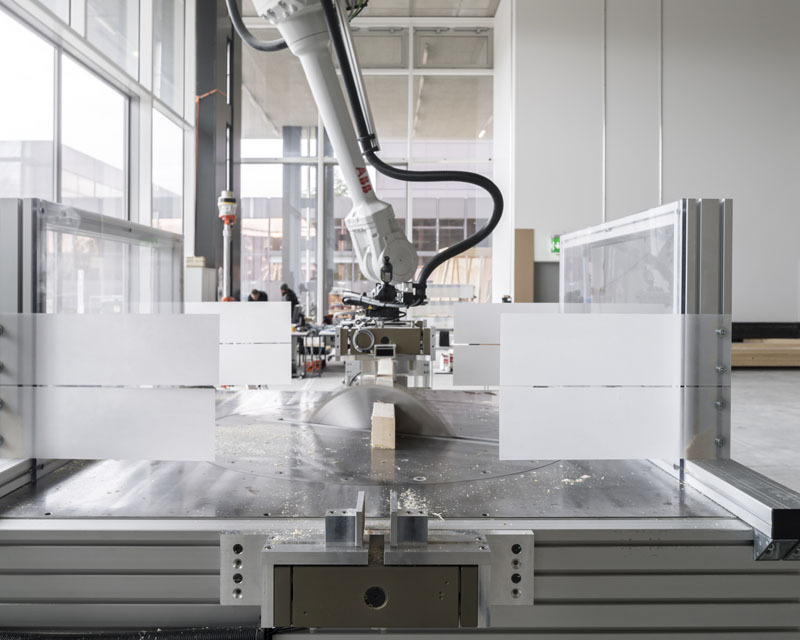 The focus is on the development and implementation of an innovative robot-based fabrication process of timber frame modules. 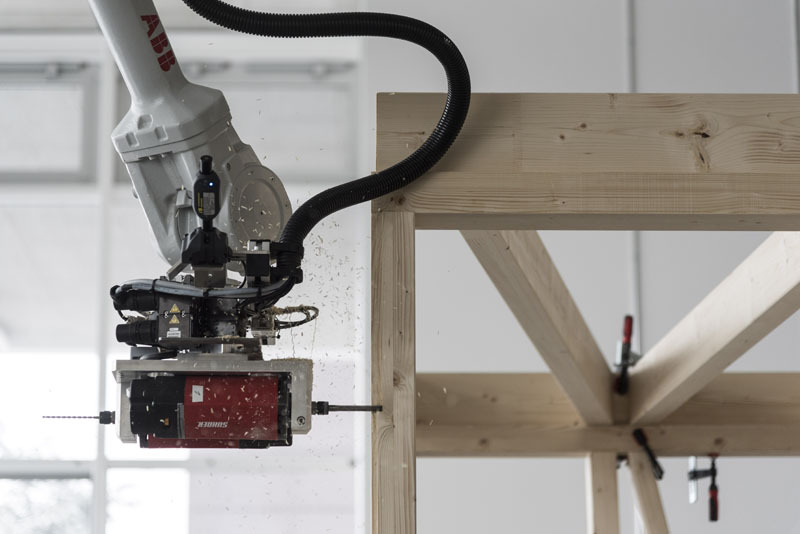 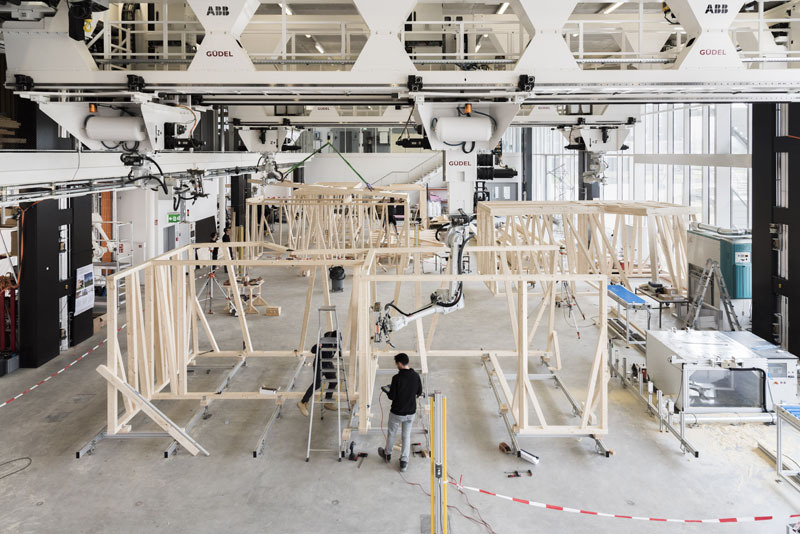 This process builds upon existing methods of timber framing by adding the robot´s ability to produce parts just-in-time and precisely place material in space. 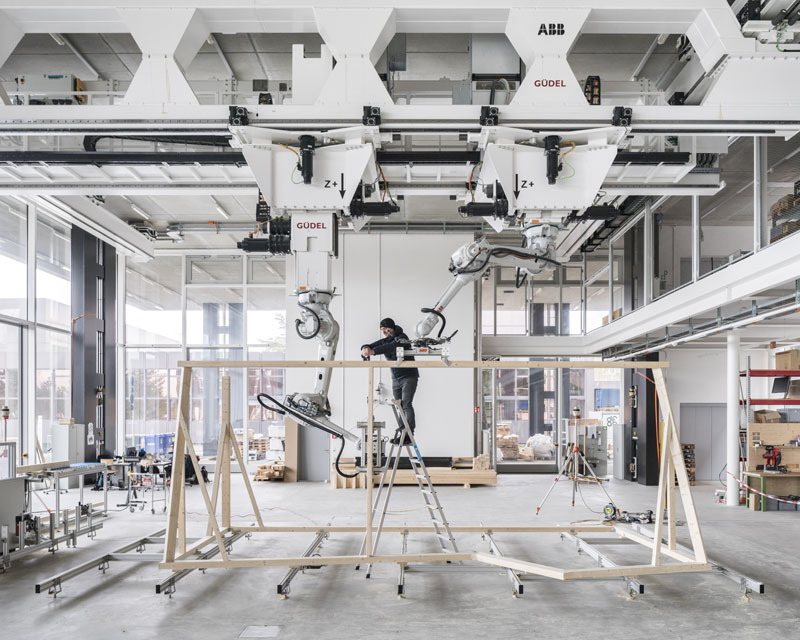 The implementation of the robot allows for the timber modules to be highly prefabricated regardless of the complexity, thus allowing for a quick and simple on-site assembly.